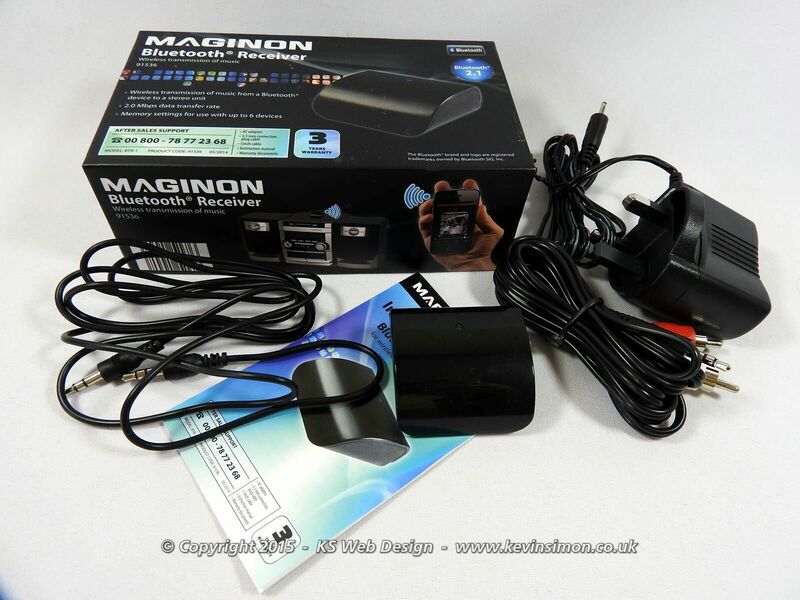 While in our local Aldi store they had a sale on some electronic equipment one was a MAGINON bluetooth receiver reduced from £15 down to £7.50, so thought would get one as been looking at these kind of bluetooth receivers for awhile. For myself in our living room we have a nice Logitech Surround sound system, This is connected to the TV permanent for 2.1 sound then can switch to 5.1 if needed. It also connects to my main pc which is in the living room via 3.5mm cable for using as hifi unit, this works well mostly as have media RF remote for the pc so can change songs etc from there. This system has worked well for a while, but when you want to change album or search songs to play not that good. As I didn’t want to change the Logitech system as I have better speakers hooked up to the unit and wanted to send music from our mobile devices and tablets to the sound system this type of bluetooth receiver was the best solution. You can get types of these of eBay for under a tenner, though worth looking at what you get with some of these as most of the cheaper ones use AA batteries though you can connect to mains but would need additional adaptor. 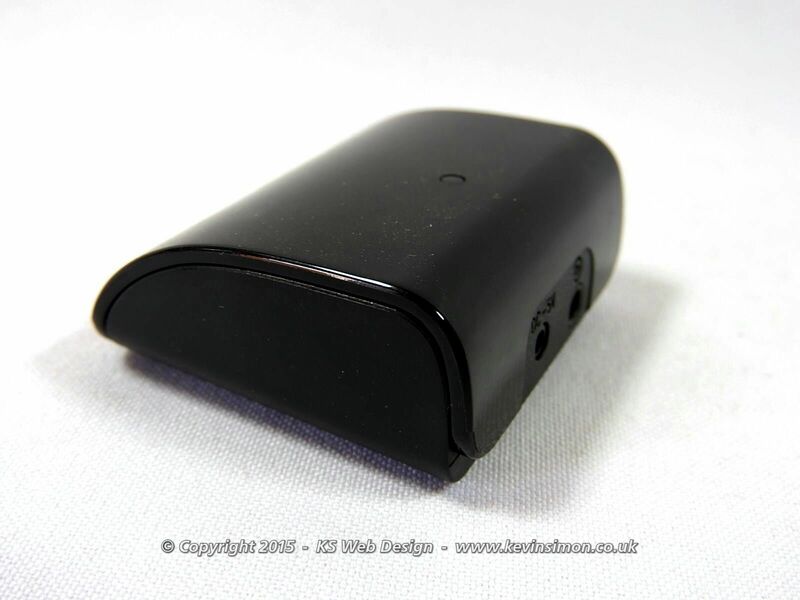 The maginon one comes with 5v mains power also, two cables to connect to your hifi equipment weather that be a 3.5mm or phone input, you get a little manual and the unit, which is approx 5cm square with two connections one for power and 3.5mm audio out. Once connected to your hifi or any sound system with aux input, switch on the unit then look on your mobile device /tablet etc and you will see the device listed in this case shows “BTR-1” if device needs it will be asked for bluetooth connection code which is the standard “0000” after a few seconds your device can then stream your music to your sound system. The maginon one has a memory of upto 6 connection devices, which is enough for most people. I found it very easy to setup and works flawlessly, these kind of bluetooth transmitters are great to allow you to get your music out of any old sound system or hifi, as we all now have our main music collection on our mobile devices.